The Brits are making fun of those desperate young women who leave home, don burkas and are willingly recruited into the jihadi life. Not everyone thinks it’s funny, but we certainly do. 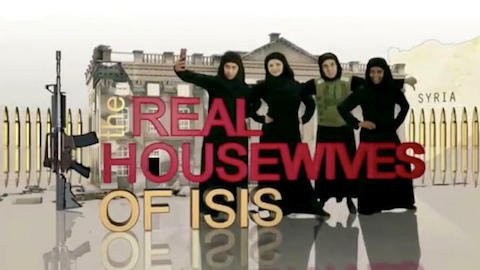 A BBC comedy show featured a Saturday Night Live style sketch in the form of a video trailer called The Real Housewives of ISIS and the supposedly religious women are just as shallow and snarky as their Beverly Hills counterparts. One ISIS housewife was upset because she had nothing to wear to “the beheading.” Another bragged that her husband Ali gave her a new chain – “eight feet long – so I can almost get outside, which is great!” She is shown chained to her stove. 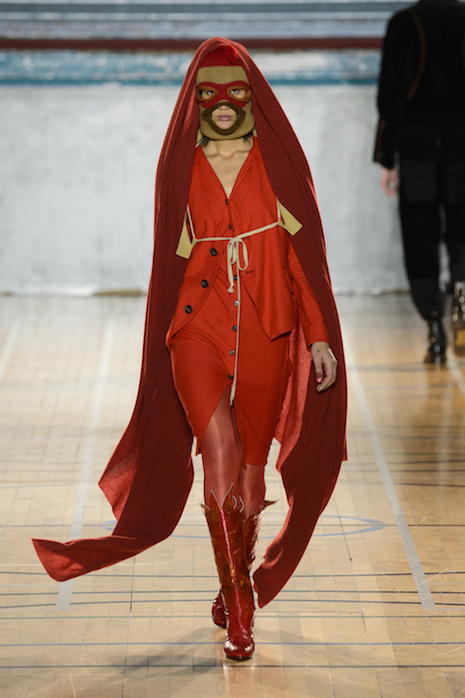 Vivienne Westwood also sees the humor in these delusional women – the outfit above is included in her latest collection. We want MORE! Are you listening, Saturday night Live? Bravo?